World Scientific Publishing Company, 9789810238582, 740pp. Edited by internationally recognized authorities in the field, this expanded edition of the bestselling Handbook first published in 1999 is aimed at the design and operation of modern accelerators including Linacs, Synchrotrons and Storage Rings. It is intended as a vade mecum for professional engineers and physicists engaged in these subjects. 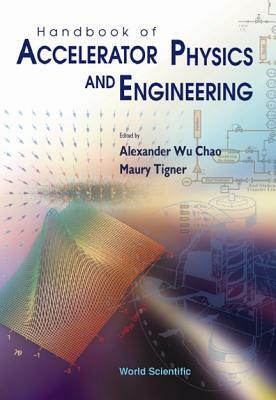 With a collection of 2200 equations, 345 illustrations and 185 tables, here one will find, in addition to the common formulae of previous compilations, hard to find, specialized formulae, recipes and material data pooled from the lifetime experience of many of the world's most able practitioners of the art and science of accelerators.The eight chapters include both theoretical and practical matters as well as an extensive glossary of accelerator types. Chapters on beam dynamics and electromagnetic and nuclear interactions deals with linear and nonlinear single particle and collective effects including spin motion, beam-environment, beam-beam and intrabeam interactions. The impedance concept and calculations are dealt with at length as are the instabilities associated with the various interactions mentioned. A chapter on operational considerations deals with orbit error assessment and correction. Chapters on mechanical and electrical considerations present material data and important aspects of component design including heat transfer and refrigeration. Hardware systems for particle sources, feedback systems, confinement and acceleration (both normal conducting and superconducting) receive detailed treatment in a subsystems chapter, beam measurement techniques and apparatus being treated therein as well. The closing chapter gives data and methods for radiation protection computations as well as much data on radiation damage to various materials and devices.A detailed index is provided together with reliable references to the literature where the most detailed information available on all subjects treated can be found.